The growing field of Public Relations has led students to seek out the best educational institutions in which to pursue their degree. The United States boasts some of the top universities for Public Relations, and prepares graduates for professional careers in the field. International students have a variety of regions in which to find the best schools for Public Relations. The best schools to study Public Relations are often located in cities with a strong presence of Public Relations firms and thriving business districts. The need for Public Relations professionals allows for there to be multiple areas and universities who excel in their education of public relations. Regions like Atlanta, New York, Austin and Los Angeles all boast top schools to study public relations and offer graduates placement and professional growth. 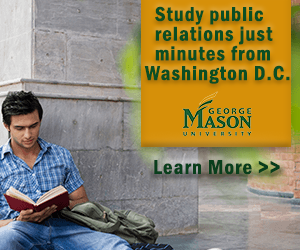 These regions boast some of the top schools to study Public Relations in the nation. New York City, arguably the nation’s epicenter for PR, offers some of the best schools to study Public Relations. New York University, a very prestigious and highly ranked institution, offers one of the top programs and is located in the heart of New York City. NYU’s School of Continuing and Professional Studies offers a Master’s program in Public Relations and Corporate Communication. Students are taught by faculty who have practiced in New York’s thriving business district, and allow students to learn firsthand from available internships and career placements in the cities corporate communications environment. Another top school to study Public Relations for international students is in the heart of another major city: Los Angeles. The University of Southern California’s Annenberg School for Communication and Journalism is one of the best schools for public relations. This program offers both a Bachelor of Arts in Public Relations and a Master of Arts in Strategic Public Relations. The school boasts its location, located in the media capital of the world and also in the most diverse city in America. The schools networking ties and placement in some of Los Angeles’ most highly regarded media organizations make the University of Southern California a top pick in both undergraduate and graduate admissions. The University also houses the USC Annenberg Strategic Communication and Public Relations Center (SCPRC), a research center with the goal of advancing the practice of public relations. Another top ranked school is the University of Texas at Austin. UT at Austin has one of the oldest and top ranked programs in public relations. The university offers both Bachelor and Master programs in Public Relations and employs some of the best research and practical faculty in the industry. UT at Austin allows students to gain practical experience through internships. The school is partnered with over 100 Public Relations offices including top firms Fleishman-Hilliard Inc. and Spitzer & Associates Inc. The university has consistently been ranked among the top 3 programs in the country and is located in one of the fastest growing advertising and public relations hotspots in the nation. This certainly helps out new graduates who will have a strong alumni network in the city’s firms. International students looking for the culture and excitement of large US cities can look no further than New York, Los Angeles and Austin. These big cities offer nightlife, museums and cultural attractions and major industry that make them some of the best places for an international student to live and study. Each university offers special programs specifically for international students to assist them with getting acquainted with the university, their classes and the area. Student will have an exciting and fulfilling time during their studies and leave with a top-notch education and preparation for a future career in Public Relations.